The year is 1879, but the history is not our own. The guns of the Civil War are silent thanks to a tense cease fire between North and South. California is shattered by the Great Quake of '68, a new superfuel called ghost rock is revealed in the flooded channels and buried in the cliff faces that loom above. Powerful Rail Barons strive to be the first to complete a transcontinental railroad, and the Great Rail Wars exact a bloody toll on an American frontier divided between not only the Union and Confederacy, but the Sioux Nation, the Mormon state of Deseret, and the Independent Commonwealth of California. Amid the chaos, fortunes can be made by those bold enough to make their way West. These brave souls have more than plain old human violence to contend with. Something's going on in the West, something downright nasty. Fear stalks the land like a hungry beast, and abominations from man's myths and nightmares haunt the High Plains. Legends tell of ancient and powerful beings that thrive on the fear created by these horrific creatures. All around, the night grows darker and the shadows grow longer as evil twists the land. Arrayed against the forces of darkness are the heroes of the Weird West: Grim gunslingers, spell slinging hucksters, brilliant mad scientists, and wizened Indian shamans stake their souls and fortunes on the battle against the evils of the frontier, and often lay down their very lives for the cause of righteousness and light. 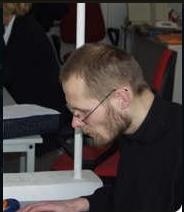 And sometimes, death is not the end. Back in the Saddle! 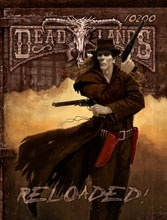 Deadlands: The Weird West returns, with the popular Savage Worlds game engine under the hood. Within these pages, you'll find all the rules you need to build a posse of heroes, and all the dirt the Marshal (that's the game master, partner) needs to bury 'em. We've also got a whirlwind tour of the Weird West, complete with a whole passel of nasty varmints and critters to vex adventurous souls. If your posse's the ambitious type, we've also included a complete Plot Point campaign that mixes the heroes up with the worst the Weird West has to offer, and gives them the chance to save the best from a fate worse than death. Deadlands: The Weird West is a Plot Point setting for the Savage Worlds roleplaying and miniatures game, and requires Savage Worlds to play.